What Does the New Volvo V90 Offer? For top-notch performance, high-end luxuries and superb safety gear, look no further than the 2018 Volvo V90 in Plano. Valley drivers who are wagon enthusiasts are sure to find this swanky vehicle irresistible. It comes standard with all the high-end amenities you can dream up and more. Additionally, buyers of the wagon will have plenty of under-the-hood options, as noted by 2018 Volvo V90 reviews. 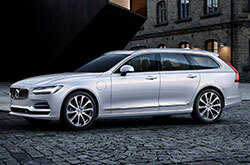 The 2018 Volvo V90 in Plano is offered in R-Design T5, Inscription T5, R-Design T6 and Inscription T6 trims. All models are very well appointed, featuring a wide range of creature comforts like leather upholstery, navigation, a panoramic roof, heated/ventilated seating, roof rails and a flip-up partition in the trunk for easier organization. You'll have a hard time finding a single 2018 Volvo V90 review that doesn't rave about the vehicle's under-the-hood dynamics. The R-Design T5 and Inscription T5 both utilize a 250-hp 2.0-liter turbocharged four that is good for 258 pound-feet of torque. The engine is mated to an eight-speed automatic, driving power to the front wheels. All-wheel drive is standard on the R-Design T6 and Inscription T6, as is a turbocharged and supercharged 2.0-liter four-cylinder, making 316 horsepower and 295 pound-feet of torque. 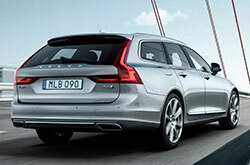 Volvo is known for going to great lengths to make their vehicles safe - a commitment that continues in the new V90. Standard safety tech includes adaptive cruise control, blind-spot monitoring, emergency braking and lane keep assist. Options include a top-down camera system and parking system for added safety and convenience. Make the most of your drive in the 2018 V90. We are confident that you'll fall in love with one press of the pedal. 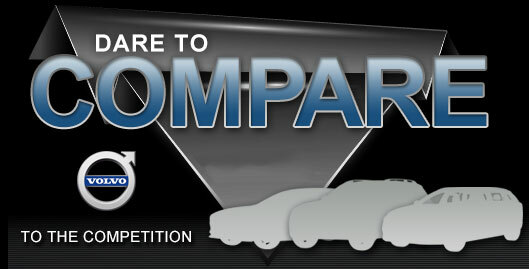 Please contact us today to schedule a test drive. We look forward to helping you reach all your automotive goals at Crest Volvo Cars. Have the 2018 Audi A4 Allroad Quattro, Subaru Outback and the Volkswagen Golf SportWagen captured your attention? 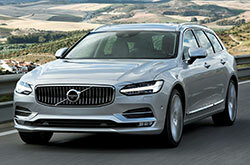 Then you should also consider buying a 2018 Volvo V90 in the Dallas area. Offering an fun-loving personality and top-shelf onboard technologies, it could be just what you from a vehicle. Once you're wrapped up with our 2018 Volvo V90 review and compare page, check out up-to-the-minute Volvo finance and lease offers. 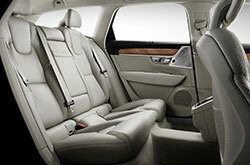 For new and gently used cars, choose us to find a superb selection, which includes the critically acclaimed Volvo V90. We hope our 2018 Volvo V90 review provides guidance when you're primed to make your ultimate buying decision. Discover the Volvo V90 in Plano, TX; requesting a test drive at Crest Volvo Cars is simple with our contact form. If you're interested to see it prior to your visit, view its design and see how it's equipped in the embedded video.